Recently spotted a Columbia GMX-3 mixer on eBay. A portable mixer from Japan which is designed to be used with a pair of GP-3 portable turntables. Interesting piece of kit, but from what I can find online the turntables are only mono although they do have pitch control and built in speaker. Each device runs on either 100/110VAC (with built in tranformer) or batteries. 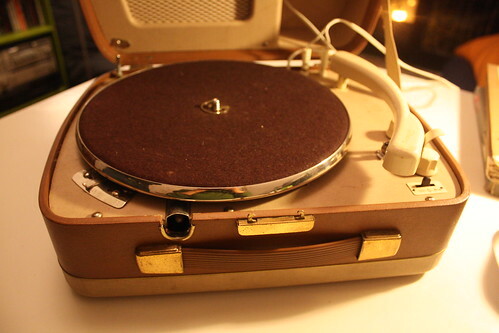 Going on recent eBay prices it would cost over Â£350 (US$560) to buy a pair of turntables and a mixer. You are currently browsing the archives for the Related Devices category.